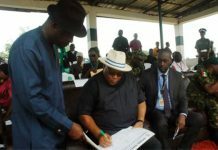 The Bayelsa State Government last Friday said it would work assiduously with security agencies to ensure that killers of the members of the National Youth Service Corps (NYSC) were brought to book. Recall that suspected cultists last Wednesday night attacked residence of some corps members in Yenagoa, killing two and leaving one critically injured. The attack occurred on school road, Swali in Yenagoa Local government Area of the state. Reacting, Senior Special Assistant to Gov. Seriake Dickson on NYSC Matters, Mr Suoyo Appah, in a statement issued in Yenagoa, urged security agents to ensure that the killers of the corps members were fished out. 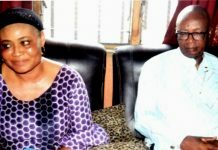 Appah, who condemned the act, assured Nigerians that the state government would stop at nothing to ensure that the perpetrators are punished. He said that the NYSC would no longer post corps member to any community that failed to provide adequate security for corps members. Meanwhile, NYSC Coordinator in the state, Mrs Lotto Bolade, had said that out of three corps members shot by the cult gang, two died, while the injured person was responding to treatment at a hospital in Yenagoa.